It’s pretty much guaranteed that you’ll spot a dolphin jumping from the beach, at least at some point during your vacation in Myrtle Beach. This stretch of South Carolina’s coast is home to alligators, dolphins, porpoises, sea turtles, and dozens of beautiful birds. There are few cooler things for little kids than seeing animals up close. 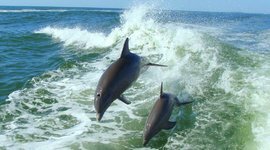 And not only is the Grand Strand home to plenty of it’s own wildlife but there are dozens of amazing animal attractions in Myrtle Beach. 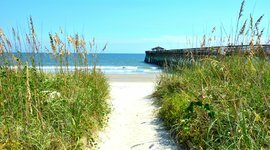 As a Myrtle Beach native, I’ve sought out the best of the best, from riding horses along the beach to the must-visit zoos and aquariums. 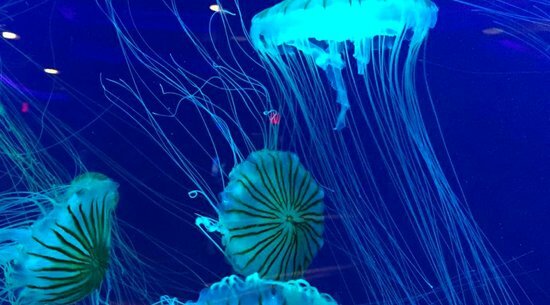 Ripley’s Aquarium is home to sharks, a clever octopus, a rescued sea turtle named Gabby, and some seriously funky sea horses. The star of the show is a moving sidewalk that takes you on a slow journey through a tunnel of sharks and a vibrant reef. Schools of fish swim by and eels slither out of their hiding places. It’s a fantastic experience because you can take as long as you’d like by hopping off the moving belt. 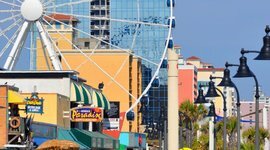 This attraction in Myrtle Beach is also known for their hands-on experiences. Kids can hold a horseshoe crab, or touch stingrays (these rays are highly trained professionals). You can also take advantage of their educational programs with animal care specialists where kids can learn about animal behavior, habitats, and more. 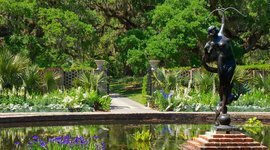 Brookgreen Gardens, just south of Myrtle Beach in Murrells Inlet, is a gorgeous botanical and sculpture garden that’s also home to the Lowcountry Zoo. In it you’ll find frisky otters, romping and swimming. You’ll be challenged to find the foxes as they hide, just as foxes do in the wild. And you’ll meet an eagle with an interesting story of survival. 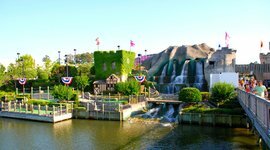 This attraction in Myrtle Beach is like no other and definitely worth your time. The zoo is included with the price of admission at Brookgreen Gardens. Be sure to check out one of the many educational programs offered each month. For an extra fee, you can take a pontoon boat ride on the river that runs through the gardens and see alligators, coastal birds, and other native animals in their natural habitats. Just across from the zoo is the Storybook Forest. It’s a beautiful play area filled with miniature houses, a pirate ship, and a castle for your little one to get some energy out and engage their imagination! Pirate’s Voyage is one of a few great dinner shows in Myrtle Beach. As the name implies, it depicts a swashbuckling battle for lost treasure appealing to the pirate lovers in your family. The theater itself is an experience with the pirate-theme commanding your attention from the moment you enter the building. The acts in the show feature diving, silks, aerial stunts, tumbling, and dancing, but the highlight is the sea lion. Kids will be thrilled and adults amazed. During the show, dinner is served with more food than you can eat. Don’t worry, you can take the leftovers home! 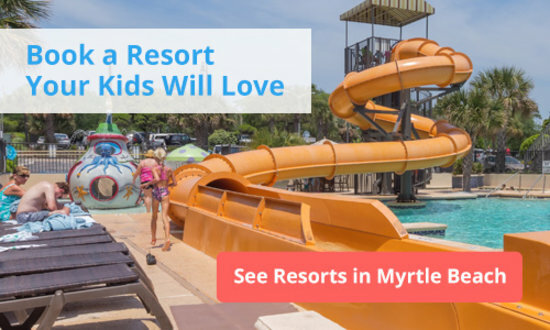 Advanced ticket purchase is recommended during the vacation season as this is a top attraction in Myrtle Beach. You’ll also want to arrive early to enjoy pre-show entertainment! 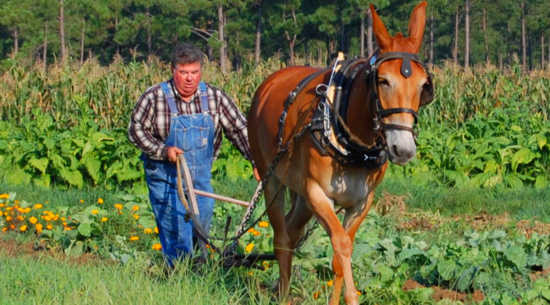 It’s a hands-on look at the Grand Strand’s rich farming heritage. You’ll experience a day on a farm out of the early 1900’s. There are demonstrations of blacksmithing, plowing, curing meat, and caring for livestock. L.W. Paul Living History Farm is a great off-beach excursion. Located in western Conway, SC, the farm is an extension of the Horry County Museum. Horse lovers, listen up. This one is for you! How romantic does it sound to explore a South Carolina plantation and then head to the beach on horseback? Imagine hearing the waves roll in while you trot along the sand. It’s peaceful and serene. Off you go, galloping through the water, the wind rushing through your hair. 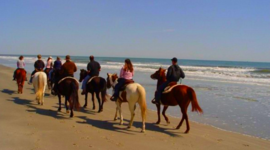 North Myrtle Beach is host to the Inlet Point Plantation where you can book a horseback riding tour based on your skill level, desired scenery, and amount of time you’d like to spend. Tours start at one hour and include special occasion rides just for two. The sunset beach ride is an attraction in Myrtle Beach that feels like something out of a romance novel. Finding a dolphin in Myrtle Beach isn’t hard, but it can take some time. If you’re dying to catch a glimpse of these graceful creatures up close, head out onto the sea. 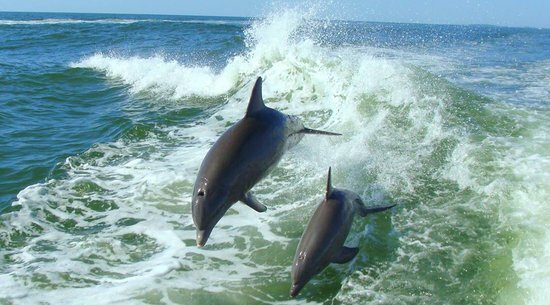 Myrtle Beach Watersports, with various locations in the Grand Strand, offers dolphin cruises in the Atlantic. Aboard either the Sea Screamer or Sea Thunder, you’ll get a tour of South Carolina’s beautiful Intracoastal Waterway and out onto the big blue Atlantic Ocean. There you’ll lots see lots of dolphins up close! If you want to actually get in the water with dolphins, Myrtle Beach Watersports fires up the jet skis and sends you out on a guided tour. They have a dolphin sighting guarantee, which means if your excursion happens to be dolphin-free, you’ll get to return for another try. 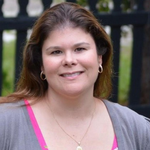 Melissa Byers, founder of MyrtleBeachforFamilies.com and a regular contributor to the BabyCenter Blog, has been a writer and editorial professional for the last ten years. She and her husband are longtime Myrtle Beach residents and raising two little surfer girls there. Committed to wearing flip-flops as often as possible, she enjoys the smell of salty air and staring blankly at the ocean. Stroll through the world's largest outdoor sculpture collection amid beautiful gardens. With tons of shops, restaurants, activities, and a vibrant nightlife, it's similar to Downtown Disney. Just watch out for those catfish in the lake! Finished in 2010, the boardwalk is filled with beachside restaurants, souvenir shops and the iconic Skywheel. It also hosts concerts and summer events. 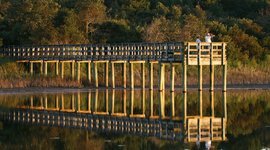 Find alligators, snakes, and egrets in the area's largest state park. Explore the old mysterious mansion at Atalaya Castle or just hang out on the calm beach. In this quiet maritime forest behind the dunes, you'll find picnic benches and a few trails. Admire the wildlife, and come for the kid-friendly nature classes. You can get up close to the area's majestic dolphins, on a boat cruise or guided jet ski tour. Starting at a plantation, you ride to the beach for a stroll along the ocean. Come during the day or a romantic sunset. 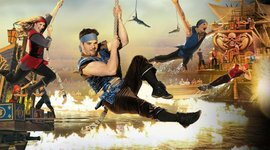 Young kids will marvel at the pirates who sing, dance, and launch off in aerial stunts. And then there's the sea lion who steals the show. One of best things to do in Myrtle Beach on a rainy day is go under the sea. They have a stunning walk-thru reef and shark tunnel, along with a cool hands-on tidepool exhibit. 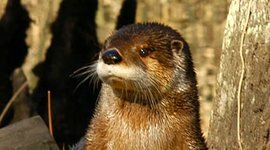 The Grand Strand's best zoo – you get to see otters, foxes, eagles, and more. Then take a pontoon boat ride to see gators and native animals in their natural habitats.